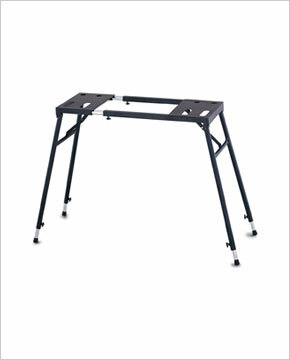 Full featured flat-top table style keyboard stand. Single stamped endpieces for maximum strength. Over-center locking arms keep the stand stable during the most demanding performance. Each of the four legs are height adjustable and the width adjusts as well. Durable chrome plating and black powder coated finishes with cushioning feet.